"She's a little rhino with a big attitude." 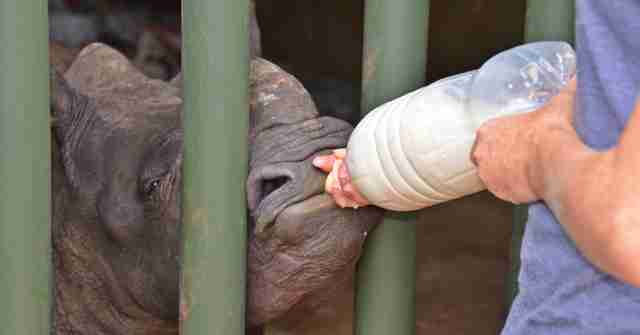 A little white rhino was just 2 months old when she was found all alone in South Africa earlier this month. 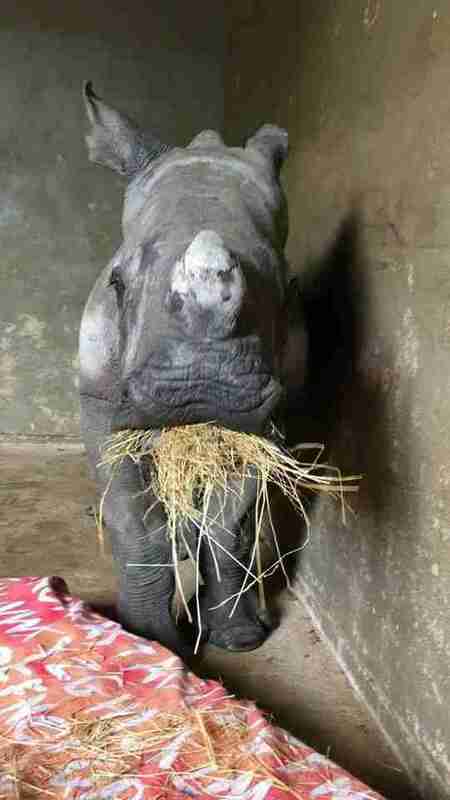 Her mother had been shot and killed by poachers and somehow this baby survived on her own for days. 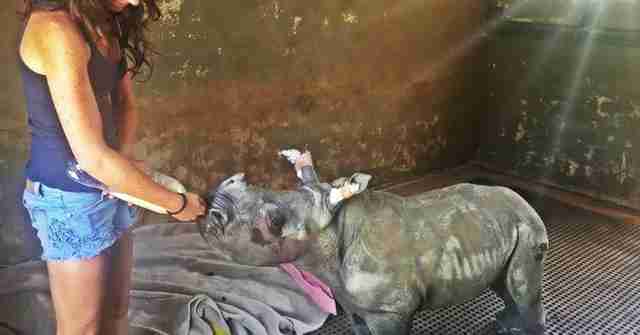 Rescuers brought her to The Rhino Orphanage and named her Nandi, which means love. 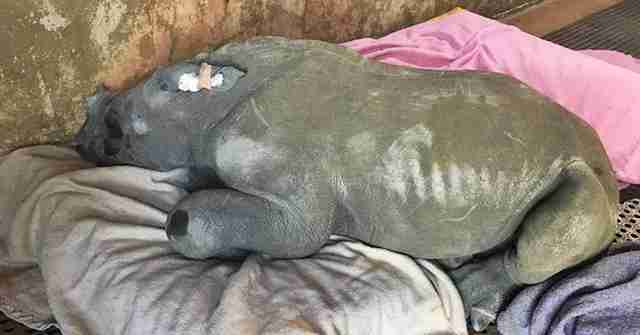 When she arrived, Nandi "drank her milk straight away," the Wild Heart Wildlife Foundation (WHWF), which supports the orphanage, said. "Unfortunately when young orphans are alone they tend to eat anything, including harmful sand due to hunger." 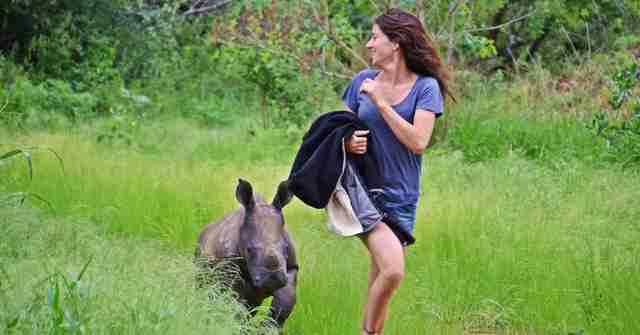 Nandi's caretaker, Jamie Traynor, carefully monitored Nandi during those iffy first hours she was at the orphanage. And soon Nandi proved to be quite a little fighter. "We have just returned from the orphanage where we delivered much-needed meds and supplies for the caregivers and rangers who treat and protect the babies," Paul Oxton, founder and director of WHWF, told The Dodo. When Oxton saw her, Nandi had already made huge strides toward recovery. 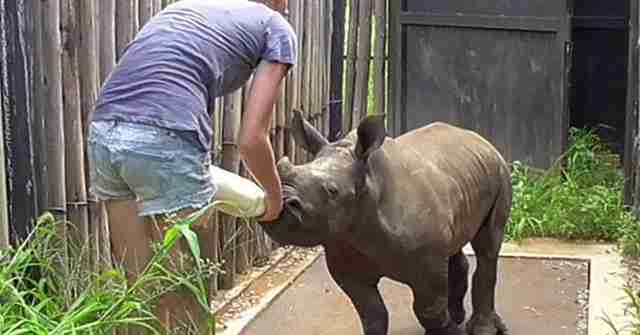 "She's a little rhino with a big attitude and has given Jamie many bruises already," the organization wrote about the playful relationship between Nandi and her caregiver. 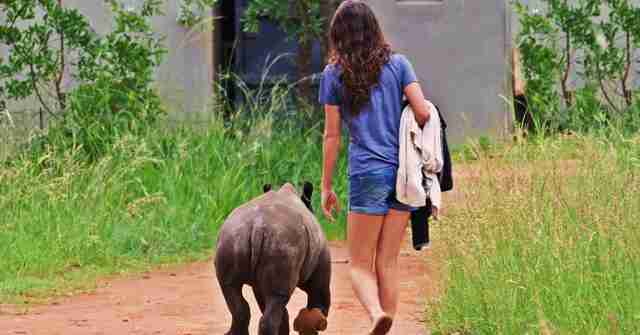 After just a few weeks at the orphanage, the sad and scared orphan has transformed into a boisterous little rhino - who loves to be close to her favorite person. 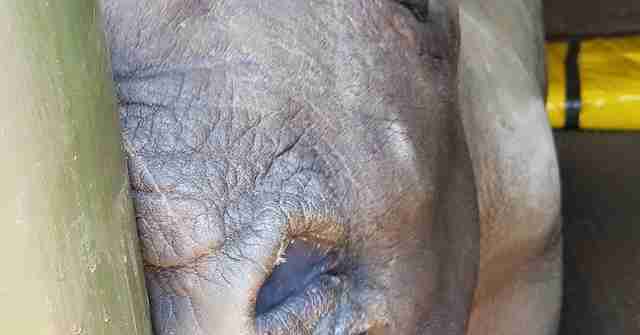 It seems Nandi's wounds, visible and not, are finally starting to heal. 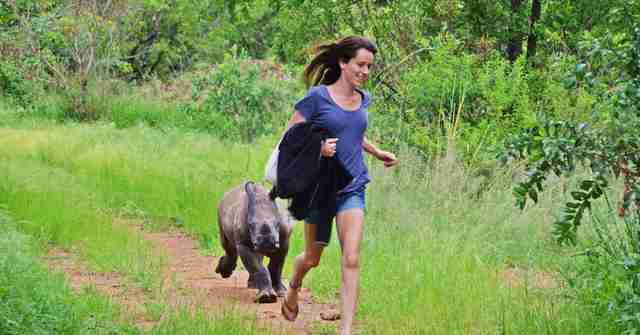 "Luckily, in Nandi's case, it seems as if the adorable baby is out of the woods," WHWF wrote. "She is drinking well, starting to eat solids and her health is improving day by day." It will still be quite a while before Nandi's ready to go back into the wild - but her future looks brighter already. You can help WHWF save animals by making a donation here.